- Learn from cero to Kitesurfing. - We adapt to your learning pace. - Quick initiation to kitesurfing. - Remember all you learned before. - Learn kitesurfing in waves, tricks..
- Come Surfing with us. Let´s go to the beach and enjoy some kitesurfing in the awesome beach of Famara Lanzarote. Advanced Kitesurfing Single Lesson: 1 day/3 hrs. 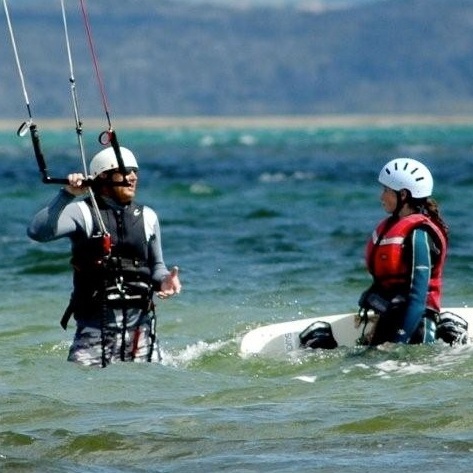 If you already know how to kite surf, but have not practiced in a while or you just want to improve your kitesurfing skills this kitesurf course is for you. Note: Pick up service from your hotel it’s a possibility at an additional cost of 30€, per day, not per person!